Winter is nudibranch time, and that’s why the annual Nudibranch Safari at Gulen Dive Resort is being held now. Over the years this event has developed into a very good interface between scientists and eager and interested divers and underwater photographers. The common denominator is citizen science, where amateurs contribute to scientific results. This year was no exception with several new and exciting observations. 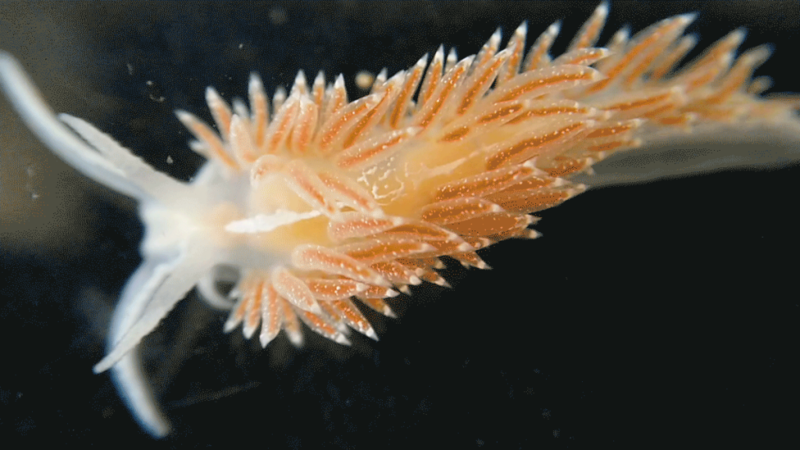 Cuthona caerulea is a nudibranch that sometimes are being observed along the Norwegian coast. This was the first record from Gulen, photographed in the field lab. Photo: Alexander Martynov. There are many examples of citizen science globally, and this is one. The Nudibranch Safari at Gulen Dive Resort has yielded a number of significant discoveries which have advanced our knowledge about the biological diversity of nudibranchs in Norway. Many keen divers have taken part, they already know a lot and want to learn more. The unique advantages of digital underwater photography is formidable. Advanced photo equipment allows documentation of what the divers observe under water. The photographers can shoot images of something that looks interesting, then zoom in on the image and decide whether to collect a specimen for further study should it prove to be something interesting. 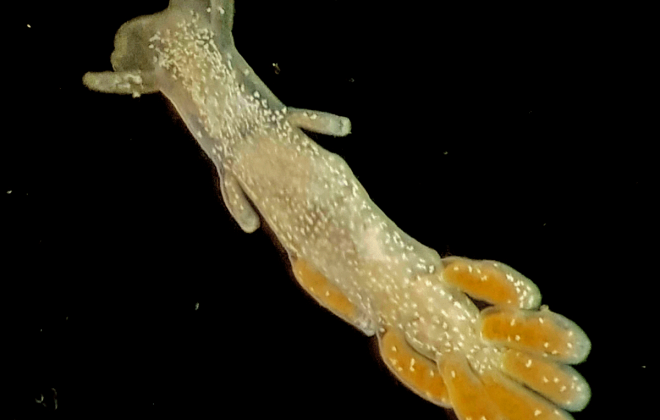 It allows for good images of the nudibranchs in their natural habitat as well as in the makeshift lab we have established. Additionally, we continue to learn from what the divers are able to tell us about the ecology of the different species. Many exciting observations were made at the Nudibranch Safari this year. 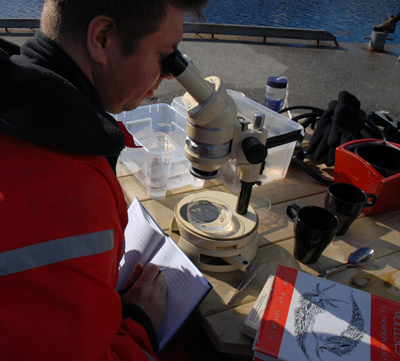 We have collected specimens for documentation purposes and to complement the scientific collections at the NTNU University Museum over several years. We only bring back to the museum what we deem necessary for future study and documentation, which means that only finds of special interest is collected. This time two interesting Cuthona species were documented: Cuthona caerulea is a beautiful nudibranch with blue and yellow colouration. It is not extremely rare along the Norwegian west coast, but this was the first record from Gulen and the Nudibranch Safari. 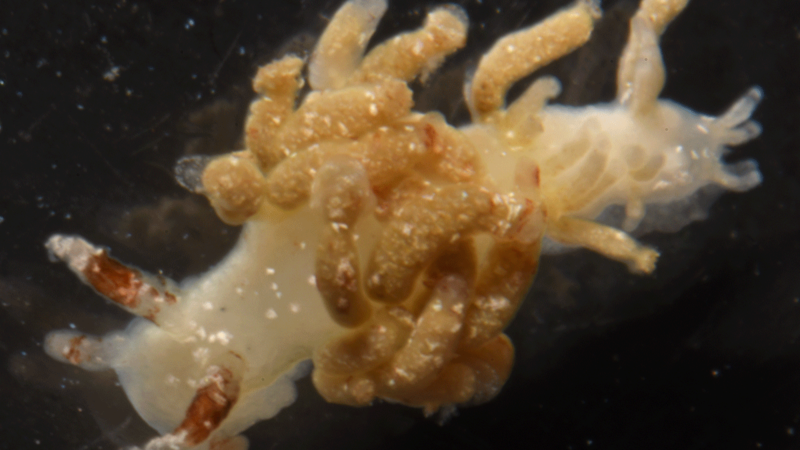 Rubramoena amoena (until recently Cuthona amoena) is only known from one record on the Norwegian coast – we collected one specimen in 2004 at Bud on the Møre coast. Finally we found one more! 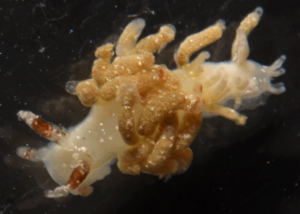 The specimen was in poor condition, but good enough to be identified. 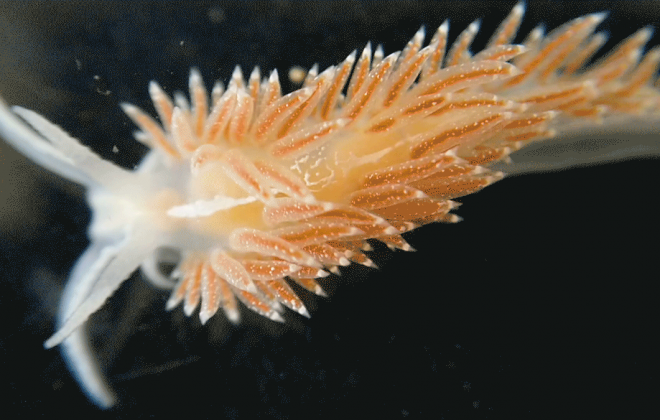 Rubramoena amoena was found at the Nudibranch Safari in Gulen, one of very few records from Norway. Here being studied in the field lab. Photo: Alexander Martynov. 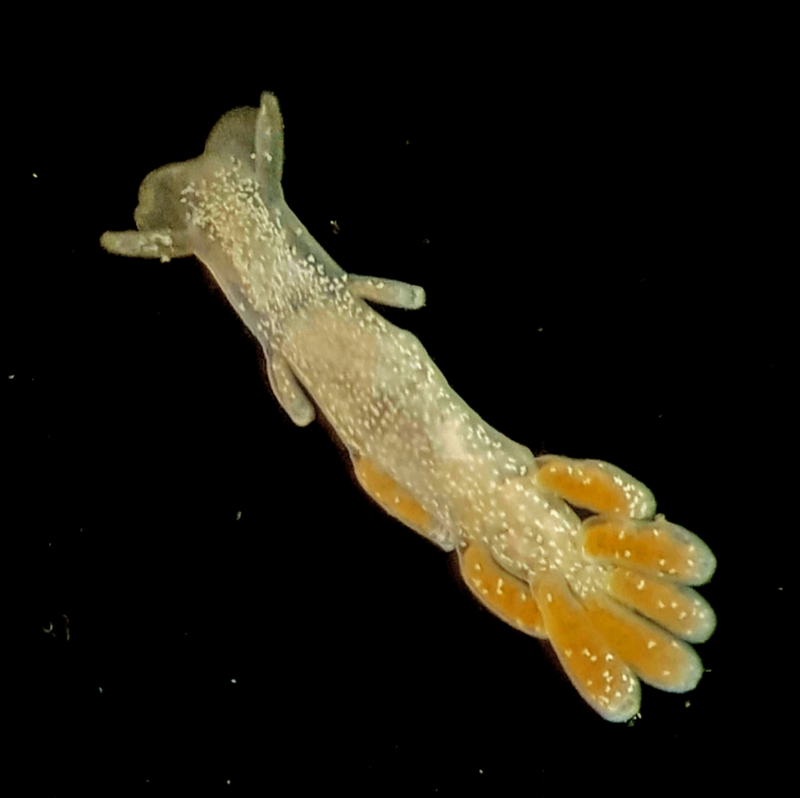 At the Nudibranch Safari 2017 a total of 50 different species were observed and identified, which is about half of the Norwegian nudibranch fauna – thanks to eager and capable underwater photographers and divers bringing back images and collect specimens for further study in the field lab. Again we direct our gratitude towards organiser Christian Skauge as well as Monica Bakkeli and Ørjan Sandnes at Gulen Dive Resort for their hospitality and unique attitude.